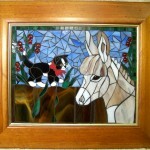 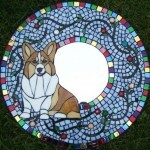 Yvette uses stained glass, tile, plates and found objects to create beautiful mosaics for the home and garden. 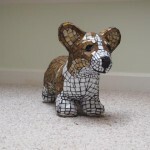 Her mosaics reflect her love for animals (especially the Pembroke Welsh Corgi) and the great outdoors. 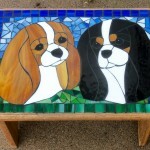 The mosaics shown are all sold and are examples of what Yvette has created. 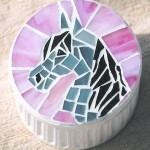 She has many more ways of expressing mosaics and can mosaic on most any object or create a shape just for you. 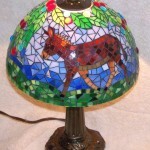 These are all one of a kind pieces. 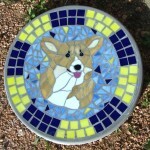 It is important to her that each piece is unique and has real meaning for the observer and recipient of the mosaic. 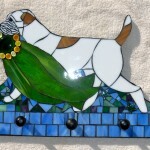 She welcomes and asks for input and opinions so that together they can develop artwork which will both give the clients pleasure as well as enhance their home, garden or business decor. 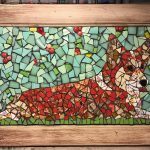 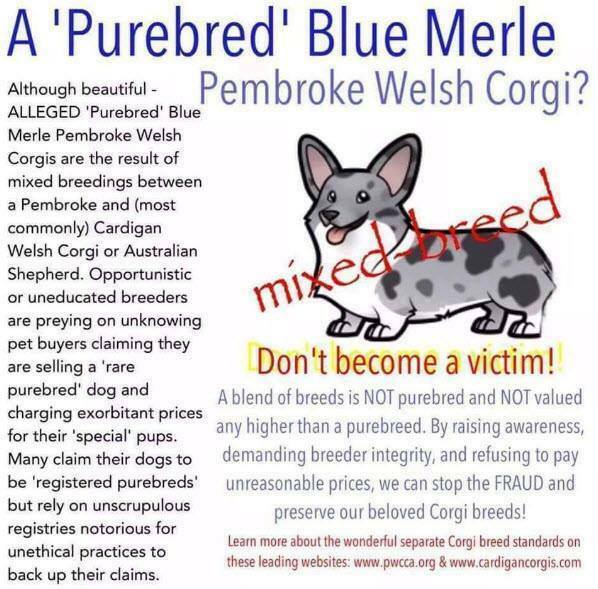 Many of Yvette’s mosaics have been used as trophies, awards and judges gifts for AKC Specialty and All Breed Dog Clubs and events.